MegaUpload's founder Kim Dotcom will remain in a New Zealand jail awaiting extradition to the U.S. where he faces charges of racketeering, copyright infringement, and money laundering. Dotcom was denied bail on Wednesday by Judge David McNaughton who expressed fear the 38-year-old Internet multimillionaire could escape to his home country of Germany, which has no extradition treaty with the U.S. Dotcom will remain in custody until February 22 when he faces an extradition hearing. 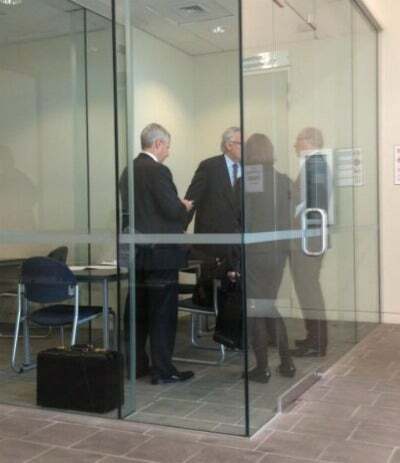 At Wednesday's hearing, Crown prosecutor Anne Toohey claimed Dotcom posed a "significant" flight risk because of the sums of money available to him. Defense attorney Paul Davison who represents Dotcom said he would appeal Wednesday's decision. Dotcom's lawyers maintain their client's funds have been seized. They also say the media and U.S. government has been "misrepresenting" his client's business. Dotcom, who legally changed his name from Schmitz, was arrested last Friday as he was accused of the biggest copyright infringement in U.S. history by enabling $500 millions of illegal downloads of films, music and other content though the MegaUpload site he co-founded. According to a 72-page indictment MegaUpload earned $175 million in subscription fees paid for access to downloads. Dotcom faces four more weeks behind bars, and reportedly has launched an appeal against the decision, while he awaits extradition hearing. 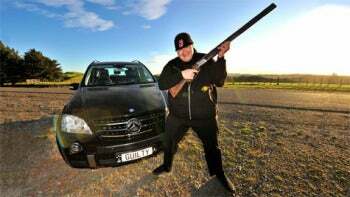 New Zealand authorities said they denied Dotcom bail because of concerns he could flee to his home country of Germany. Finn Batato, chief marketing officer at Megaupload, Mathias Ortmann, chief technical officer, and Bram van der Kolk, programmer, all face similar charges. Police raided Dotcom’s $30 million rented mansion in New Zealand last Friday, where they seized 18 luxury cars including a 2010 Maserati convertible and a 2008 Rolls-Royce Phantom Drophead. A judge ruling also said he has more than $21 million in 23 separate bank accounts in Honk Kong, while the FBI claims Dotcom’s earned $42 million in just the 2010 calendar year alone, according to a Bloomberg report. MegaUpload was advertised as having more than 50 million daily visitors, and Dotcom reportedly said the website had agreements with copyright holders to remove any infringing content within 24 hours of notification. However, according to the indictment MegaUpload paid cash to people who agreed to upload large amounts of copyright-protected content. The FBI says MegaUpload’s servers were based in the U.S. (others in Canada and the Netherlands). Dotcom continues to face charges of criminal copyright infringement, conspiracy to commit racketeering and money laundering, with the latter two each carrying maximum penalties of 20 years. Dotcom is pending an extradition hearing on February 22 in connection with the charges in the U.S.